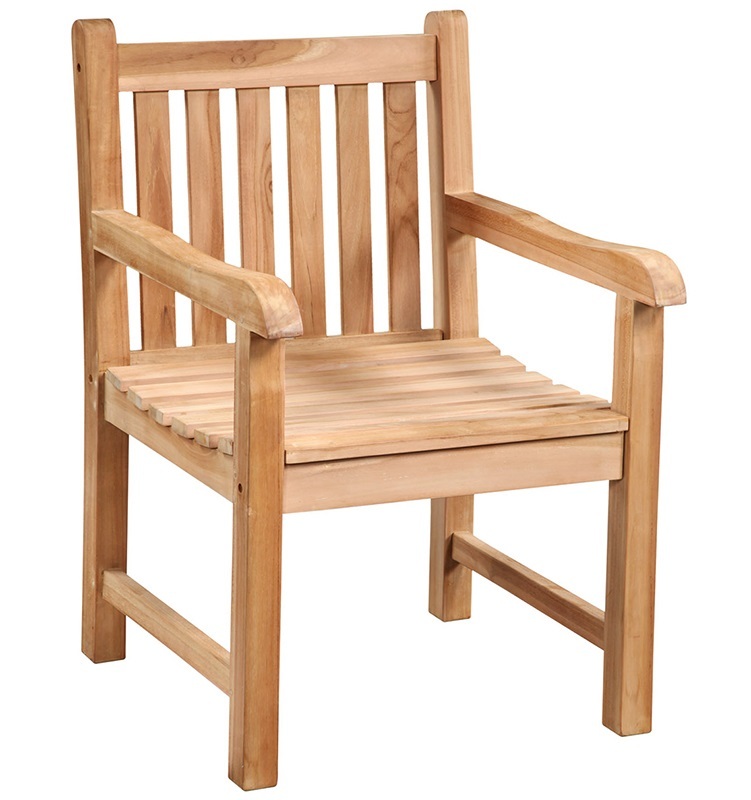 This classic dining chair is hand crafted from solid premium teak wood. It is perfect for outdoor use and left outside it will weather to a soft gray patina. Dimensions: Length: 21, Depth: 24, Height: 36.